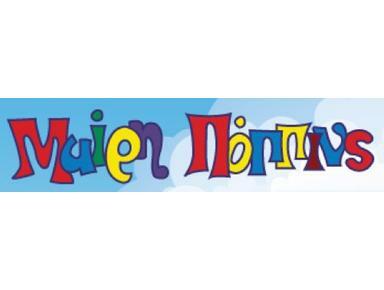 "Mairy Poppins" Nursery School was established in 1969 by Katerina Varvarigou and to this day is set in Filothei. Starting up in Kehayia St., we moved to Kodrou St., where we still are. The founder of the school, Mrs Varvarigou, who has studied in Cambridge has been close to her pupils all this time, embracing them with her love, care and tenderness. Her great interest in education for this tender age, inspires and leads the staff of the school as well as her daughter Elina Varvarigou who has a degree in French literature from the University of Dijon, has been working at Mary Poppins since 1990. Using modern educational equipment we teach children to work creatively, responsibly and efficiently on their own or in groups. In this way, they create their personality and discover their own way to use this useful knowledge. Our nursery school is situated in Filothei, a suburb far away from noise and pollution. In this clean and happy atmosphere, combined with the spirit of respect for each other, we prepare your child for the primary school.